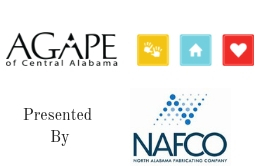 Founded in 1977, Agape of Central Alabama is a non-profit 501(c)3 agency. As a ministry of Jesus Christ, Agape’s mission is that vulnerable and orphaned children find permanency in safe, nurturing families. Agape has offices in Montgomery, Birmingham and Enterprise. We are licensed by the state of Alabama to provide foster care and adoption services. We are also Hague Accredited to provide intercountry adoption services.